Part two of the great Block of the Month! The more you have cut before class the more sewing you will get done. The blocks are easy to make; if fabric is ready to sew you will be able to finish two blocks in class! 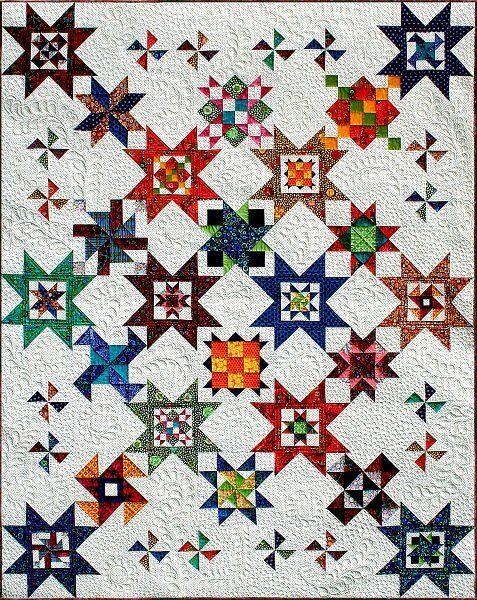 This quilt is beautiful using Kaffe, florals or batiks!